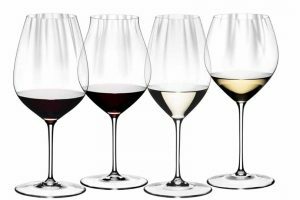 This #WineHacks edition builds on the Top Tips by taking a proper look at the role of glassware in improving your enjoyment of wine. Here, Campbell pours wine, spills wine, makes a mess, curses a little, and explains how a £1 wine glass from IKEA that’s a proper tulip shape will outperform a £20 cut crystal glass that’s the wrong shape. We basically prove that a £20 bottle of wine served in a properly shaped glass that costs £1 will outperform a £40 bottle in a badly shaped glass. If you want to know how £10 can get you six wine glasses and a starter decanter, have a watch! There’s actual science to support this now, as Campbell references in the video – have a read to learn more about “sniffer cameras”. Love this. When can I come and do a tasting? We’ll have to get a date in the diary!